GENDER IDENTITY WILL no longer be considered a disorder of the mind under the World Health Organisation’s new classifications. The World Health Organisation (WHO) has removed references to gender identity conditions and related categories from its classification of mental and behavioural disorders in a new draft of its International Classification of Diseases (ICD), which was released yesterday. 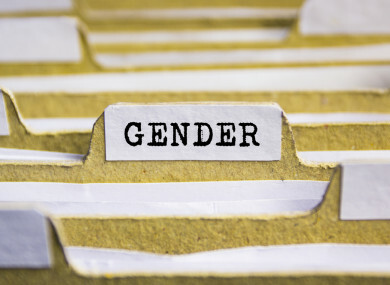 The revised classification system, ICD 11, sees new categories covering trans-identities being added instead under conditions relating to sexual health. The individual experiences a strong desire to be treated (to live and be accepted) as a person of the experienced gender. The experienced gender incongruence must have been continuously present for at least several months. The diagnosis cannot be assigned prior to the onset of puberty. Gender variant behaviour and preferences alone are not a basis for assigning the diagnosis. Transgender Equality Network Ireland (TENI) has described the decision as a turning point in the global perception of gender identity. ”The UN’s directing and coordinating authority on international health has finally confirmed what has long been recognised by trans and gender variant people everywhere – that being trans does not mean having a disorder of the mind. “While there remains significant work to fully de-pathologise the lives of trans and gender variant people, today’s announcement marks a significant, if long anticipated, step forward,” TENI CEO Stephen O’Hare said. The ICD is the foundation for identifying health trends and statistics worldwide and contains around 55,000 unique codes for injuries, diseases and causes of death. In May 2019 the ICD 11 will be submitted for approval to the World Health Assembly and is expected to come into force on 1 January 2022. Email “Gender identity to no longer be considered a disorder of the mind, says WHO”. Feedback on “Gender identity to no longer be considered a disorder of the mind, says WHO”.